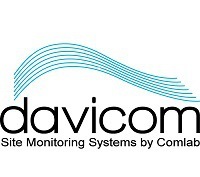 For decades, land mobile radio service providers and operators have been using Davicom systems to monitor and control their remote installations. Davicom products allow easy and complete remote control and configuration of communication sites, regardless of their size and complexity. Units can communicate over narrow-band 1200 baud radio links all the way up to wideband SNMP-enabled satellite links and iOS/Android Smartphone apps. A return on investment of less than one year has been demonstrated in numerous installations. Davicom's robust and reliable products are the number one choice of public safety, utility and transportation departments across North America. Portable Instruments for Cable and Antenna Analysis, Spectrum Analysis, Interference Analysis, RF Power Measurement, Fiber Optic Cable Analysis and Ethernet Analysis. Remote site spectrum analyzer with controller, rotator and directional antenna for interference analysis/location. Communications Infrastructure Solutions in Low Band, 220 MHz, VHF, UHF, SMR, Cellular and Broadcast Applications. Band-Pass and Band-Notch Cavity Filters; Resonant and Hybrid Transmitter Combiners; Receiver Multicouplers; Isolators - Wide-Band and Narrow-Band; IM Panels; Cross-Band Couplers; Uni-Directional and Bi-Directional Signal Enhancement Systems and Supporting Components; Tower-top Amplifier Systems; Site Monitoring Equipment with WEB Based Options; System Engineering and Solution Services. Communications System Analyzers (Service Monitor) for Two-way Radio Testing - R8000C/R8100 - Project 25, MOTOTRBO, NXDN, DMR, TETRA, PTC; AutoTune for Testing and Tuning Motorola XTS Portables, XTL Mobiles, APX Mobiles and Portables, MOTOTRBO Mobiles and Portables, Kenwood NX Series Portables, Harris XG-75, P7300 & M7300 Portables & Mobiles, Harris XM-100 & XL-200 available Q1 2017; Survey Technologies Drive Test 7 Software, VSWR & Cable Fault Options, Only 14 lbs.!!! Handles up to 150 Watts! Installation of Modular Lindgren DEI RF Shielded Enclosures - Double Electrically Isolated, Modular. German Engineering Produces Exceptionally High Quality Hand Microphones, Speaker Microphones, Gooseneck Microphones and Microphone Heads, Hands-Free Microphones, Desktop Microphones, Handsets and Loudspeakers. Rechargeable Batteries for Two-way Radios, Battery Chargers, Accessories. Mil. Spec. VHF & UHF Hand Held and Mobile Radios; UHF Data Radios and Wireless LAN's. RF Power Amplifiers - VHF Low and High Band, UHF and 700/800 MHz; Amplifiers for Mobiles, Base Stations, Repeaters, Paging Systems, Military and Custom Applications. Please contact us regarding custom manufacturing.